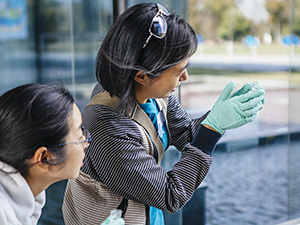 FreshWater Watch offers our business partners unique employee engagement opportunities and practical understanding of a company's sustainability strategy. Through long term corporate partnerships, Earthwatch has been inspiring companies to embed sustainability at the heart of their business. More than 8,000 HSBC employees have participated in FreshWater Watch. As Citizen Science Leaders (CSLs) they have contributed over 17,000 scientific datasets across 35 countries. Behind the numbers and scientific outcomes are positive impacts for individual employees, the bank, and ultimately a more sustainable planet. The CSL role, with its ambassadorial, educational and scientific remit, presents personal and professional development opportunities in leadership, influencing skills, communications and teamwork. 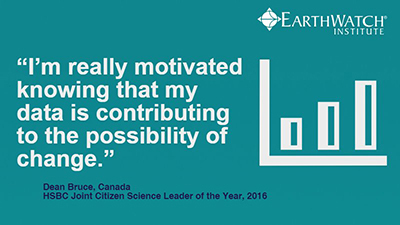 Employees say that the citizen science programme impacts on them personally - inspiring them to make lifestyle changes whilst providing them with tools for professional development. More than 90% of participants have reported increased sustainability awareness and personal motivation as a result of taking part. The HSBC Water Programme received the 'Inspiring Practice Award' at the International Association of Volunteer Effort (IAVE) Global Corporate Volunteering Awards 2016. Please let us know if your business would like to participate in FreshWater Watch.